Hello dear friends- long time, no read! 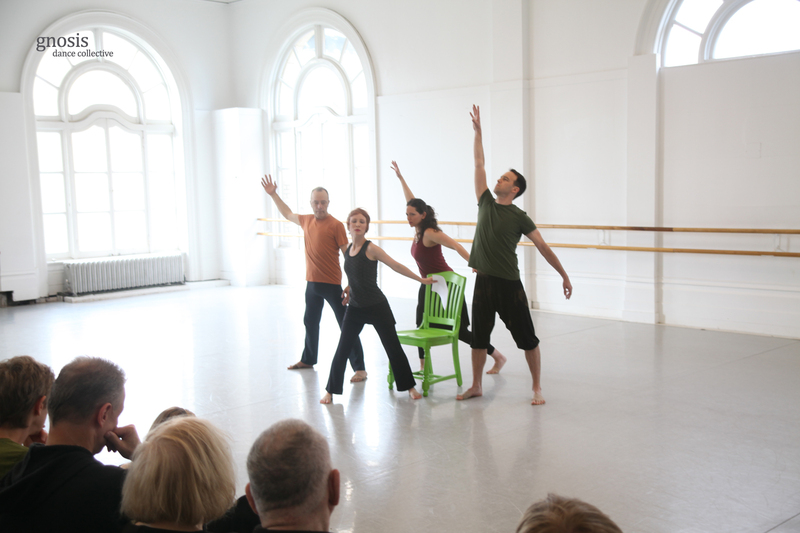 More time dancing means less time for blog posting, and with four performances coming up and several new pieces to debut, we’ve kept our hands (and feet) busy preparing for a very exciting fall season. As one Yelp commenter says, “Do I really have to comment on such perfection? 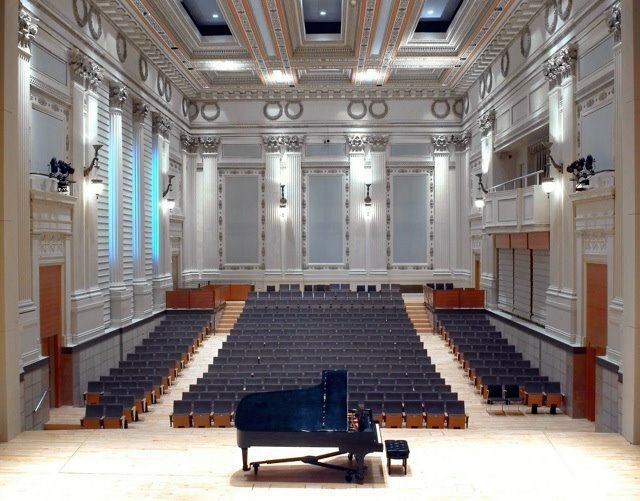 Among the hustling of Civic Center is this auditorium that just leaks beauty and splendor.” So prepare yourselves for a beautiful performance in a beautiful space. Tickets are free and available online or at the door. Seating is limited so if you want to reserve your spot, visit www.brownpapertickets.com today. 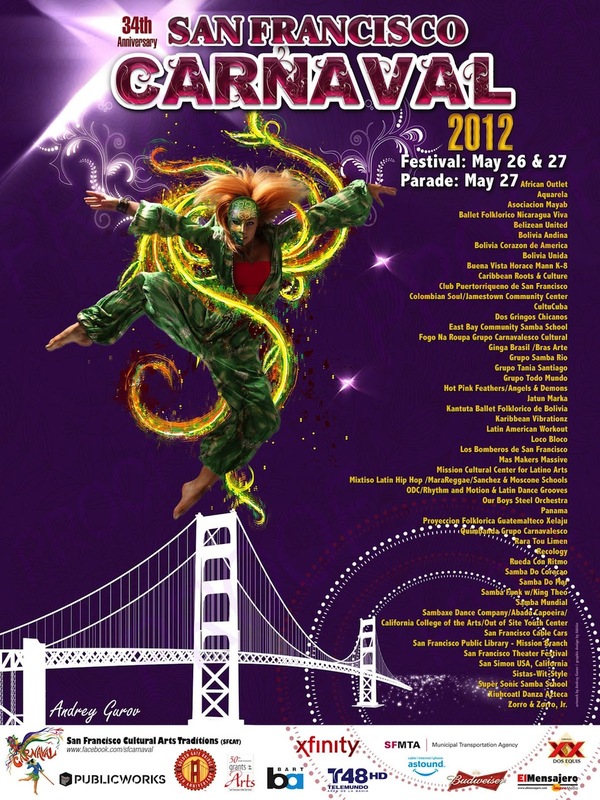 San Francisco’s 34th Carnaval Festival and Parade is this weekend, May 26th & 27th. 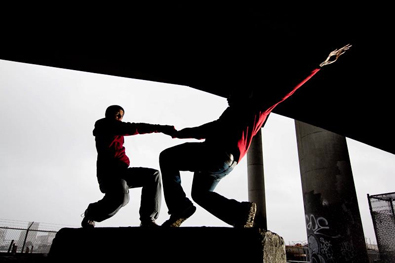 Come join the celebration as Gnosis and fellow “Dance for Another Day” dancers take the party to the streets! Sunday’s parade features more than 60 contingents and will include Gnosis dancer Michael Leavell with Grupo Tania Santiago, fabulous DFAD ’10 performers Samba do Coraçao and lots of friends from ODC/Rhythm & Motion, Symbolic Dance & Fitness, Hot Pink Feathers and more. Parade starts at 9:30am at 24th St. & Bryant with the main parade route running down Mission St. to 17th. So don your feathery finest and stake out your spot for the most spectacular travelling dance party in town! 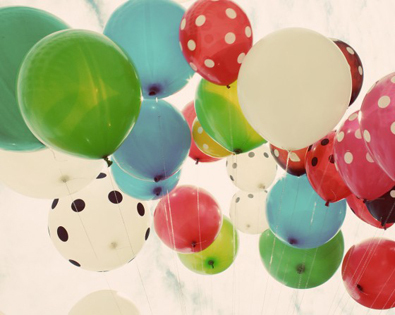 Wishing a very happy Mother’s Day to all of our friends, families and supporters! Happy Mother’s Day, and thank you for continuing to inspire us all! The sun is shining, the birds are singing, flowers are blooming and everyone is shouting, “It’s Spring!” So why is Gnosis counting down the days ’til Fall? Well for starters, just look at the photo above! On September 21st, Gnosis Dance Collective will perform on this stunning stage for Kathy Mata Ballet. 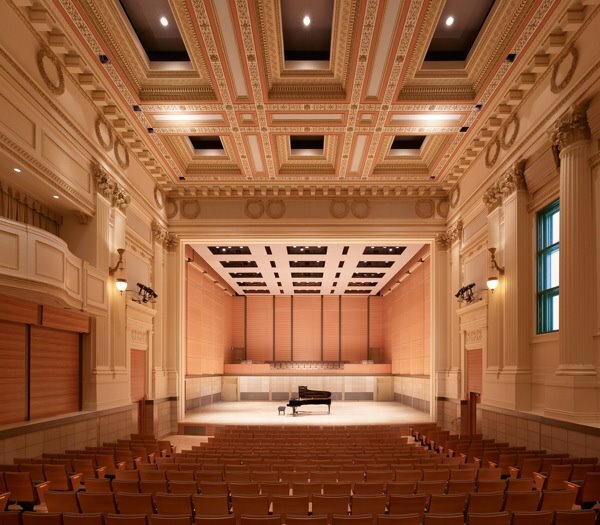 The San Francisco Conservatory of Music is one of the Bay Area’s premier venues, and the chance to dance in the elegant main concert hall with its gorgeous architecture and historic seat in S.F.’s “Cultural Corridor”- just steps from City Hall, the San Francisco Opera, War Memorial & Performing Arts and Davies Symphony Hall- has us simply giddy with anticipation. And let’s not forget a little show on October 6th called “Dance for Another Day!” It’s already shaping up to be a can’t-miss event that will include modern, hip-hop, tango, ballroom, belly dance, and that’s just the beginning of the list. If you are a professional or teacher and would like to add your act to the line-up, please contact us today. If you are a dance student and would like to perform, send your teacher on over to our website and encourage them to sign up now. It’s sure to be another stellar show! Yes, Spring has officially sprung for Gnosis, so stick around to see what sprouts up next! After a year-long search we have finally found a beautiful new home for our annual charity dance event, “Dance for Another Day!” This year’s showcase benefiting the Alliance for Lupus Research will take place on October 6th at Oakland’s Malonga Casquelourd Center for the Arts. Previously known as the Alice Arts Center, this historic 350+ seat theater is just a 5-minute walk from BART with tons of parking all around and has been home to such inspiring companies as the Oakland Ballet, Citicentre Dance Theater, AXIS Dance Company and Dimensions Dance Theater. We are so proud and honored to take the stage in this lovely space with such a great tradition of community, innovation and talent. We already adore our new home and we know that you will, too. Visit our DFAD website and “Like” DFAD on facebook today for lots more info on this year’s show, and please let us know if you’d like to take part in this magical, memorable event with us. What a remarkable day of dance! Sunday’s Dance Week Celebration presented by Kathy Mata Ballet featured an incredible gathering of dancers and styles ranging from modern to lindy hop to folkloric dance to ballet. We were thrilled to be part of the action and to premiere our new piece, “The Green Chair.” The beautiful, lofty space and intimate salon atmosphere were the perfect setting for an afternoon to remember. If you missed it, don’t fret- you’ll have another chance to catch the show this Sunday, April 29 at Alonzo King’s LINES Dance Center. Register today to reserve your spot at www.bayareandw.org (search for “Kathy Mata”). Grab Your Seat for Dance Week! It’s the (second) most wonderful time of the year! Bay Area Dance Week is upon us, when studios around the bay open their doors and amazing teachers, performers and choreographers spoil us with more than 600 FREE EVENTS, including classes, shows, open rehearsals, lecture demonstrations and more. It’s the perfect time to check out that class you’ve always wanted to try, go behind-the-scenes and get inspired at open rehearsals for some of the hottest dance companies in town and, of course, see some fantastic performances- all free of charge! This year, Gnosis Dance Collective is very proud to be part of Kathy Mata Ballet’s Dance Week Celebration. On Sunday 4/22 and Sunday 4/29, we’ll be performing two fresh new additions to our repertoire- a sassy 1920s jazz-inspired rendition of “Ain’t Misbehavin'” and the debut of “The Green Chair,” a compelling, contact-heavy Modern piece created especially for Gnosis by renowned choreographer and artistic director, Paco Gomes. You won’t want to miss it! After months of plotting and planning, Gnosis Dance Collective will proudly premier an original piece titled “The Green Chair”, created especially for Gnosis by esteemed choreographer and artistic director, Paco Gomes. 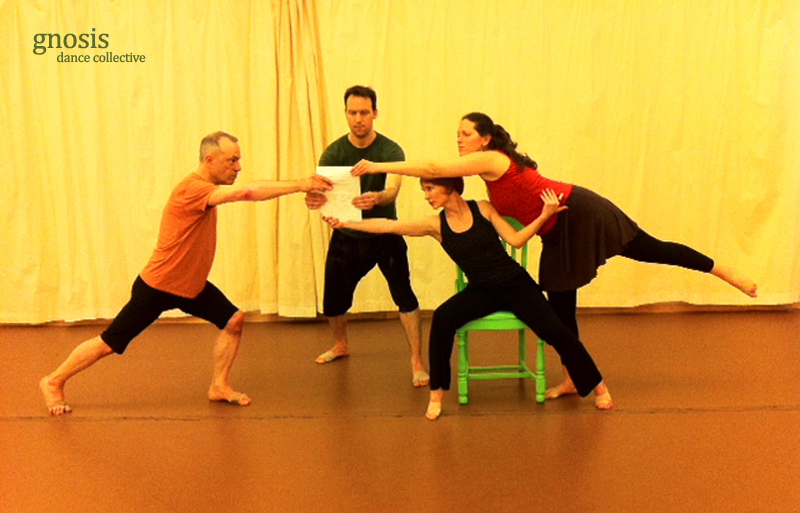 The piece will debut during Bay Area Dance Week as part of Kathy Mata Ballet’s Dance Week Celebration 2012. We were blessed to spend the summer of 2011 in the studio with Paco, collaborating and workshopping movement and creative concepts. The result is a Modern Afro-Brazilian nod to German choreographer Kurt Jooss’s ballet, “The Green Table”. Created in 1932, “The Green Table” dramatized social and political issues of that era , including political corruption, economic instability, crimes against humanity and the ever-present threat of war. Eighty years later, we find these same issues to be relevant as ever. 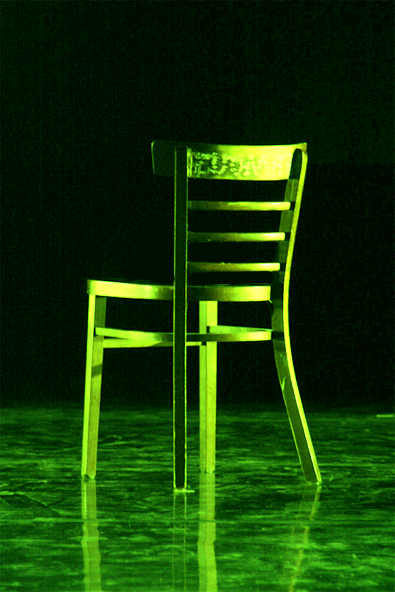 Gnosis’s “The Green Chair” echoes the urgency of Jooss’s original vision, dramatizing the archetypal energies that keep us trapped in patterns of conflict and strife. Uneasy alliances give way to destructive impulses as the dancers raise the question: is the pen truly mightier than the sword? The answer, of course, depends on who wields the pen – and to what purpose. Sign up online today to attend this event for FREE on April 22nd and April 29th at Alonzo King’s LINES Dance Center. In addition to his work and play with Gnosis Dance Collective, Mike has recently joined fellow dancers Peter Cheng, Peter Chou, Peadar Cremin, Vin Eiamvuthikorn, R. Jefferson Joseph and Indie Stan to form an all-mens’ performance group. Led by dancer/choreographer Weidong Yang, the group recently debuted their new piece titled, “Metal, The Fourth Element”. According to Ancient Chinese philosophy, the world is comprised of five elements: wood, fire, earth, metal and water. As the fourth element, metal is associated with courage, grief and destruction, and often serves as the symbol for war. Similarly in African mythology, the Orisha of war, Ogun, is also the Orate of metal and technology. Inspired by these myths and symbols, “Metal, The Fourth Element” reveals how the discovery of metal marked the greatest leap of warfare in human history. Click here to view some of Weidong Yang’s own images of the dancers in action, and sign up for free to see “Metal, The Fourth Element” as part of Kathy Mata Ballet’s presentation for Bay Area Dance Week, April 22nd and April 29th at Alonzo King’s LINES Dance Center. We’re saving our love for you!